Begin with one small step. Don’t let others stand in your way. 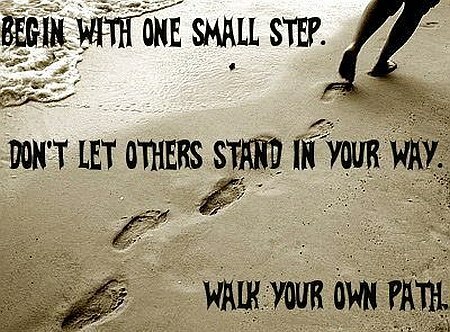 Walk your own path.